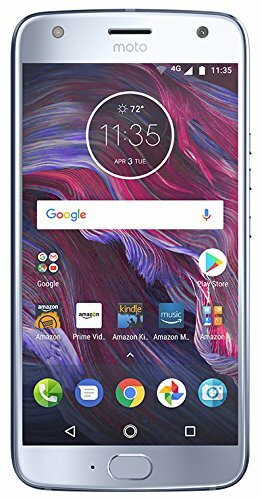 Introducing Moto X4, a phone designed like no other, with the power of hands-free Amazon Alexa. Stay protected from splashes with IP68-rated water resistance. With an advanced 12 MP + 8 MP dual rear camera system, it’s made for taking your best photos ever. Incredibly sharp images in low light. Breathtaking wide angle shots. Even panoramic selfies with a 16 MP front camera. With a precision-crafted glass and metal design, it’s as beautiful as it is strong. Wherever life takes you, power through the day with a 3000 mAh battery and a fast octa-core processor. Enjoy intuitive Moto Experiences that make using Moto X4 easier and more fun. The new Moto X4, in a word, exceptional.